OneLink is the advanced cloud-based website localization solution aiming to facilitate translators’ work and reduce IT involvement in the website localization process. 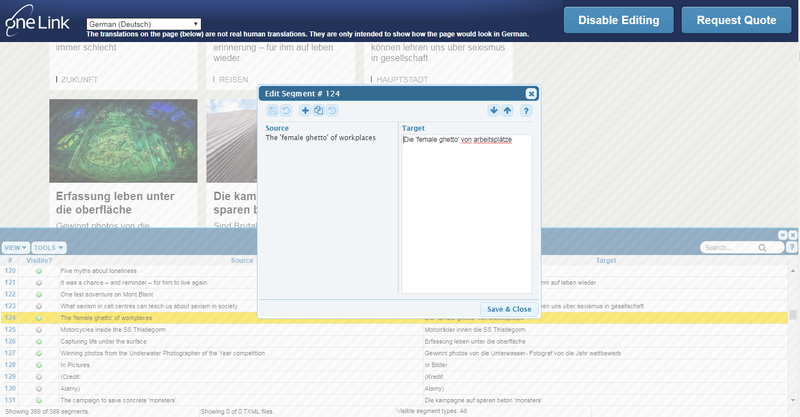 The web crawlers capture text segments according to the specified rules. Engineers classify images before translation for the further processing of Proxy. This data is translated by human translators. 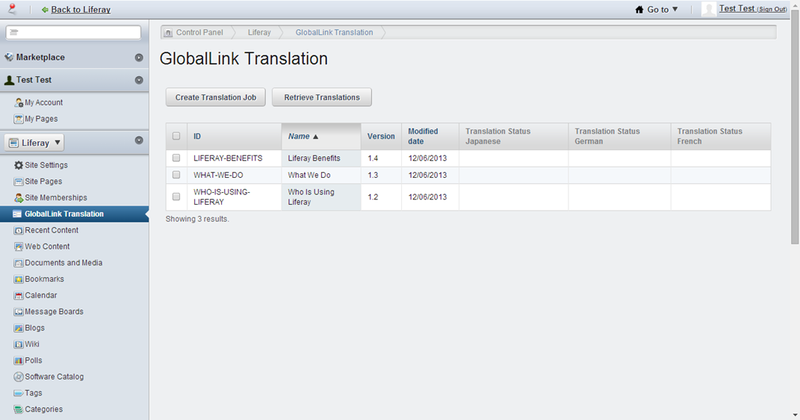 Then, the translation rules are applied to OneLink Proxy that allows for website translation on the fly. On top of this, there’s a console that lets engineers do admin work related to text/segments management: import, export, various transformations and statistics. What is more, OneLink has become the first and only fully PCI DSS certified solution which adds to security standards of customer data. The customer has got a solution that provides customers with a fast way to implement and deploy translation of their websites with minimum customer involvement in as little as 30 days. 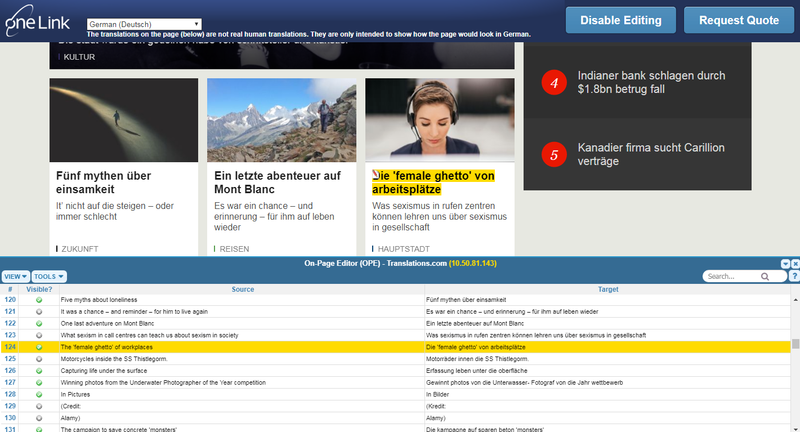 As a result, OneLink occupied the top place in the market niche of website localization solutions. We have been using the Elinext application development and QA teams on our projects for several years, and in my opinion they compare favorably in terms of project management, individual skills and communication over other eastern European companies. I wouldn’t hesitate to recommend this outfit to any company seeking managed offshore development.